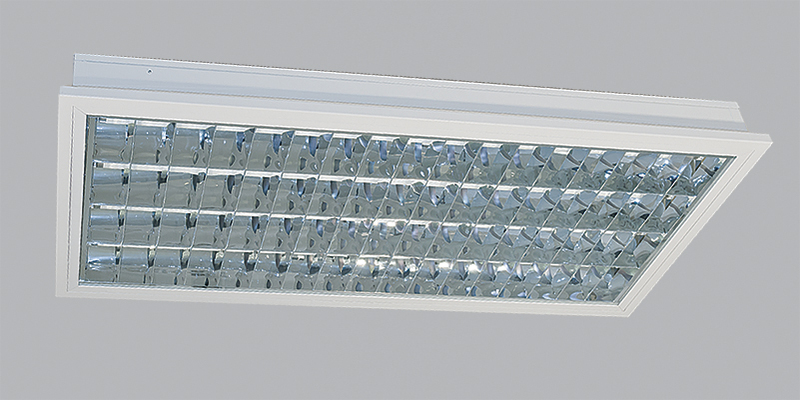 As one of the few manufacturers of luminaires we offer the possibility of producing atypical luminaires even in smaller series. 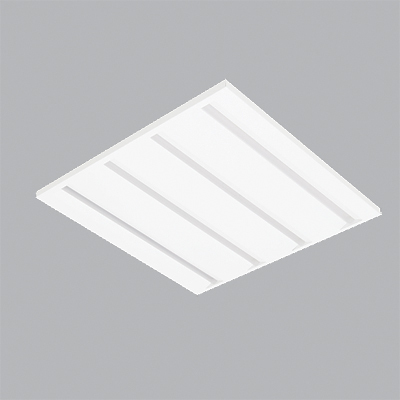 Most often, it is necessary to adjust the dimensions and shapes of the luminaires into the ceiling because there are a large number of manufacturers of ceiling systems on the market and not everyone adapts to the standard dimensions of the luminaires. 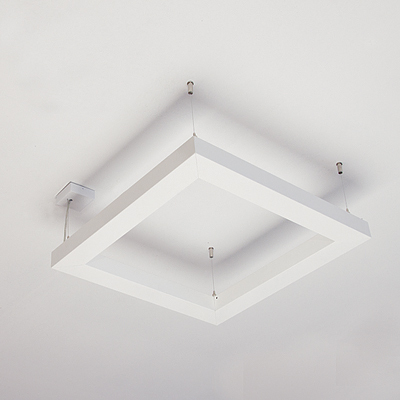 Luminaires in atypical dimensions will be produced according to your sketch or drawing or send us the type of ceiling and we will adjust the size of our luminaire. 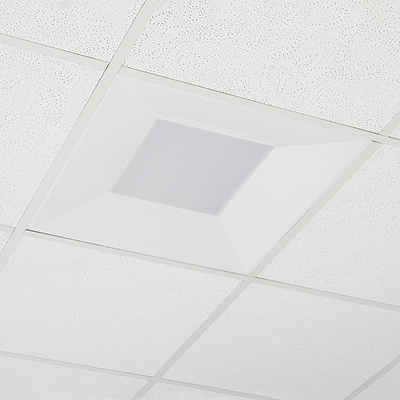 We are able to adapt the luminaires for connection to the air conditioning system. 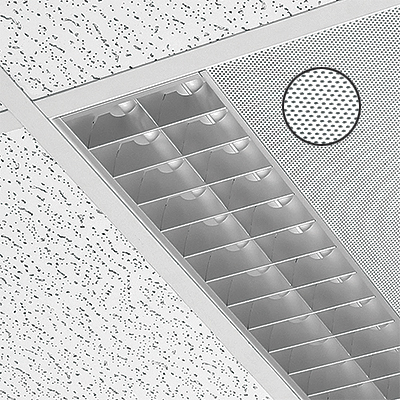 This requirement arises mostly in designing offices where there is no space for separate air outlets in the ceiling, or there is no aesthetic need to be there. There are several ways to solve the problem. 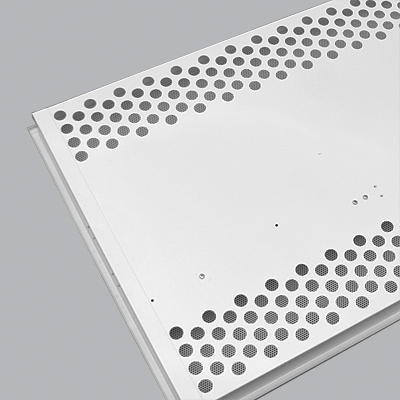 The easiest is to add holes in the back of the luminaire and allow the air to flow through the louvre. 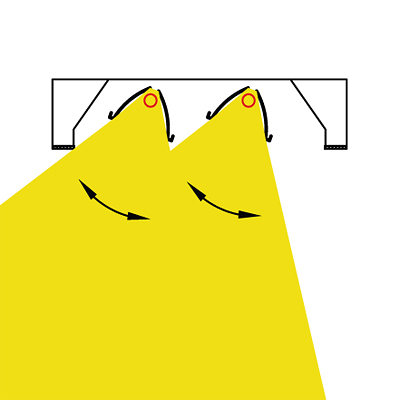 Alternatively, the air holes can be drawn along the lamp outside of the optical section. 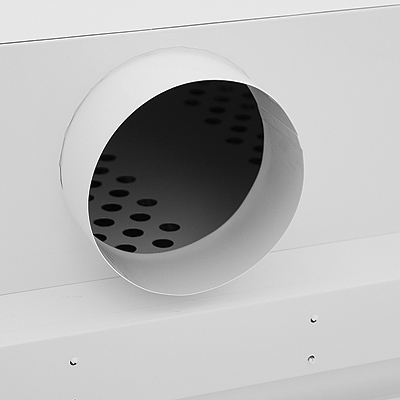 An advanced option is the construction of luminaire with circular tube fitting for air ducts. 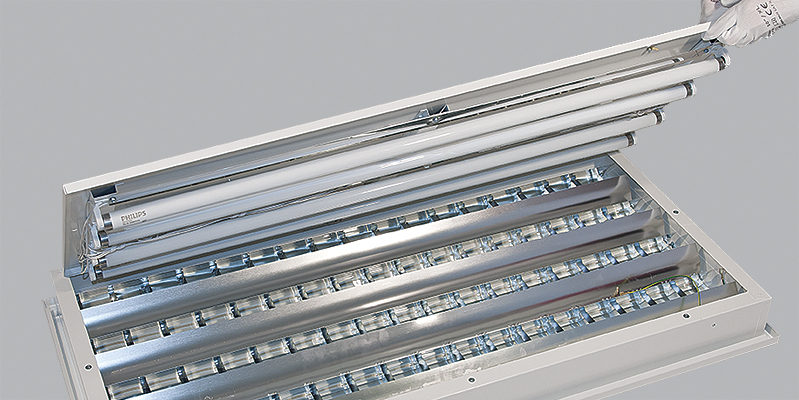 Access to the luminiare from the top above the ceiling is required mostly in clean rooms where it is impossible to service the luminaires normally from the room. 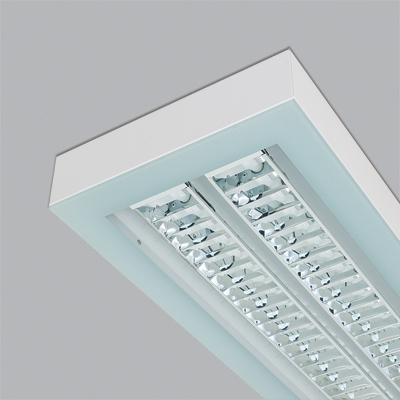 This option is available on request for most luminaires for false ceilings . Prior to ordering, any technical requirements should be consulted. 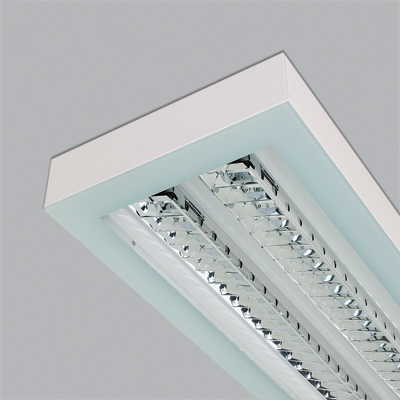 For cases where fluorescent lamps are still in good condition or recently installed, we offer a practical LED retrofits to save the cost of lighting. This is a steel sheet reinforced base with magnets on the underside. 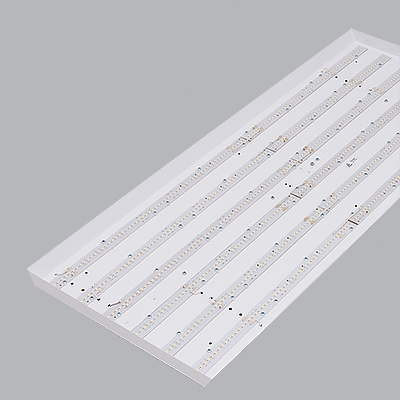 On the top side are replaceable LED panels together with ballast and terminal block for connection. 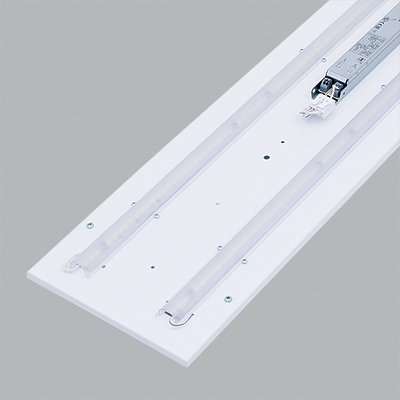 Retrofit is simply installed in the fluorescent lamp by simply plugging it in with the magnets and by connecting it to the original terminal strip of the luminaire. 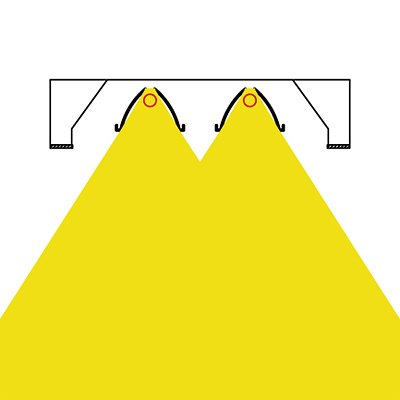 Dimensions of retrofit are adjusted according to the original luminaires and we also try to place the terminal block in the most suitable place for easy connection. 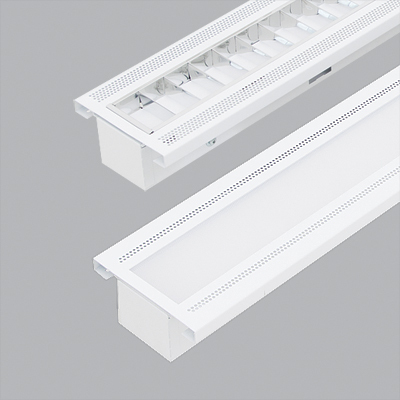 The Best Clean and LOS + GLASS luminaires can be manufactured with an optical grid that allows you to change the light characteristics – they tilt to the sides. 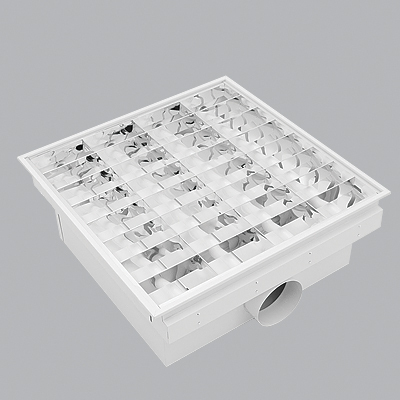 By tilting the individual grids in the luminaire, you can change the light characteristics of the luminaire to better illuminate places that would otherwise remain poorly illuminated. 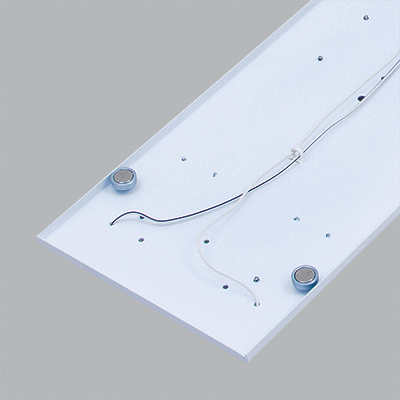 It is mainly used in operating rooms where the luminaire can not be directly above the table. If you are interested in this adjustment, please contact us to arrange details.